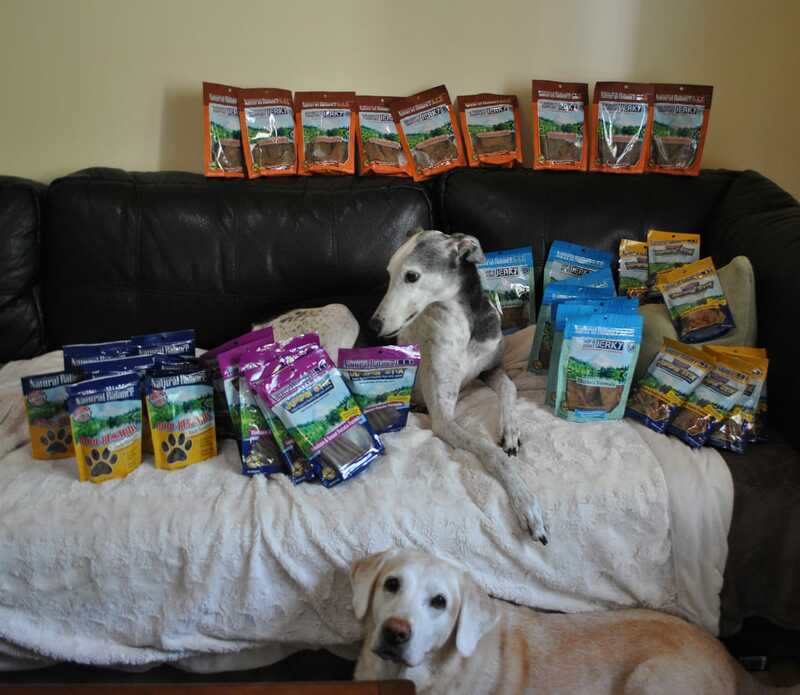 Natural Balance Pet Foods is excited to announce the launch of 15 delicious new semi-moist treats, and today three of our readers will win free Natural Balance treats for their dogs! Created to keep pets active and happy, these products include options such as training treats and limited ingredient varieties to support dogs’ hips, joints, and immune systems. Available in different formulas, textures and sizes, these new functional treats will have dogs jumping for joy. Available in stores this summer, new semi-moist treats are made with high-quality proteins and are formulated without corn, wheat, artificial flavors or colors, and to celebrate their launch, Natural Balance is sponsoring a giveaway for our readers! Entering is easy – simply leave a comment (using the regular commenting system below – Facebook comments will not be counted as entries) and we’ll use randomizer.org to select three lucky winners from the comments. As always, thank you for reading – and good luck! *Note: deadline for entry is midnight Saturday, August 16th. In 95 Seconds, One Video Portrays Dog Ownership. The End Is Awesome! My dog is really picky, I would love to try them. My rescue dog Gracie is a Staffordshire Bull Terrier that rescued us a year and a half ago. She’s the best dog we’ve ever owned. She loves the Natural Balance premium beef rolls added to her daily kibble for a change in texture, so we’d love to win some of these to try out! Gracie thanks you in advance for the goodies, woof! Laci will only eat moist treats like these. My greyhounds would love to give these a try. My 3 miniature dachshunds have tried these already & really love them!!!!! Would love to try these for my three hairy kids. We have two pups – one we rescued from Ohio, out in the middle of nowhere that someone apparently dumped that I now call Ashley (Shepherd Mix). She is my pride and joy and I’ve had her for about 12 years now. She was just a puppy when we found her. We also have Patches, his owner passed away and I could not stand the thought of him going to the pound, so he became a part of our family about a year ago. He is a Havanese, and such a snuggle bug and a mama’s boy. They would go crazy for these if we were to win. All dogs LOVE treats and their “mom” loves when they are free! I have two german shepherds, one of which is a therapy dog and I am in the process of getting the other one registered. Dogs are unconditional love. I’d like to try these because the ingrediants are healthy unlike most dog treats. My Plott Hound and Boston Terrier love Natural Balance. I have been feeding them this brand since they were both pups. I love the limited ingredients and it’s easy on their stomachs. The wet food is great to mix in to the dry every once in a while for a special dinner! My dog loves to try new treats! Thank you. These sound great. I love the idea of healthy treats for my dogs! My dog is a very good eater who loves to be spoiled with healthy treats. I would love to give her some Natural Balance treats to try. Dog treat are great for training. I think all 3 of my dogs (2 older and one 6 month old I rescued, that was thrown out of a car) would love any of these treats. They are like most dogs, their whole bodies wiggle when the treats come out!!! I like the variety I am seeing and am sure I will like the ingredients as well. My 2 small dogs need healthy good tasting treats. They too are very picky. But i ‘d rather you give the free treats to the good people that saved their pets from wherever and gave them love and a good home. My new pup would love to try something new! My little puppy would love some new kind of treats, especially as the current ones get stale really quickly, so semi-moist ones would be exciting! My dog Rose LOVES natural balance treats. Would love to get to try new ones. I have 4 beautiful dogs. I think they would love your venison and potato treats. My boys live Natural Balance. I’m 100% sure they are going to love these too. My dachshunds would love to be taste testers! My 2 dogs love natural balance treats. They would love to try these new treats. They could become the new favorites in our house. We are a rescue for senior pets. 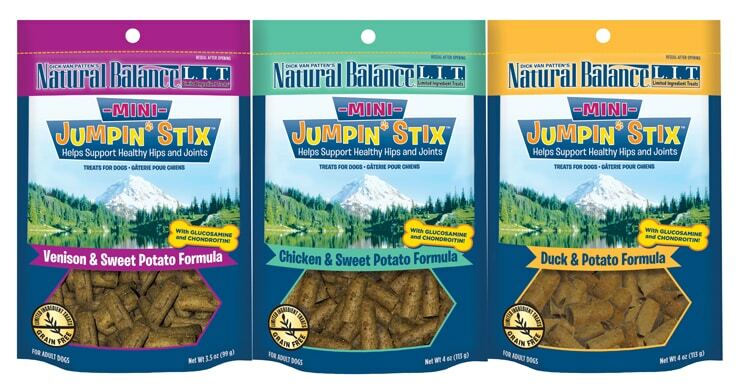 We love Natural Balance and would love to try these new treats. Some of our seniors are dental challenged and semi-soft would be great! My foster dog and three other resident dogs would love some new treats! My puppy would love these, such a fussy eater! Our lab/shepherd/greyhound rescue dog LOVES treats of all kind! Cool! There’s duck treat! My Louie loves duck but since the rest are made in china I haven’t bought any! my 3 boys Charlie (6 yr old pomeranian) koda (8 year old pomeranian) and Emmitt (12 yr old lab mix) would love these! We are always looking for new healthy treats! the hip and joint one would be great for my big guy! My babies would love any of them! My lab will eat anything but my mixed breed is fussy. They eat natural Balance dry dog food with some canned food mixed in so I know you have a good product. Would love to try them. My two dogs would love to try these! Happy Summer! My rescue dog Dusty would absolutely love these treats ! Love Natural Balance! Got to try these new treats. I feed my dogs natural balance dry food. They would LOVE the treats too! My Boston and Dachshund would love these! Taking care of a number of rescues who would enjoy trying out these treats. Woo! My beagle would be so happy to get these treats! Good, quality treats help us keep her begging for human food down. They seem to smell better to her. Lol! My weimaraner would love some of these. I only feed my dogs treats made in the USA and Canada from quality ingredients. I’d love to try these! Would love to let my 3 labs try. Been using Venison & Sweet potatoe kibble for 8 years for my Bullmastiff with allergies. At 8 yrs, he just got a clean bill of health from the vet. Gratefull we will now have a soft treat that does not make him itch! Would love to win this for my pup! Here’s hoping I get selected! My rescue dog is 14yrs old and has difficulty eating hard treats. These will be great for her. My dogs love their food, and I’m certain they’ll love their treats! I can’t wait to see it in the store! I Love Natural Balance and have been feeding for years! I can’t wait for these treats to be available! My Dog Kane says— Ohhhhh Pick me, pick me!!!! Giveaway was posted August 11th. Which “today” does it end? Snowy and Sassy sure hope they can add some treats to their dwindling supply! Thanks for the opportunity! My little Diego loves to get super yummy treats, and since he is getting older it sounds like these would be great for him! My dog loves his duck and potato food and I know he would just love the new treats. Can’t wait to try them..
Emme and Hamilton would love to try these treats ! Would love to won so I could donate the treats! My beagle would love to try some of these! Pick Me!!! I have 3 dogs, one of which, is allergic to grain, chicken, and beef. would love to try these for our pups! Hello! I would love to try these with my dog lucy! She is a Basset Hound and she loves any kind of treat! !